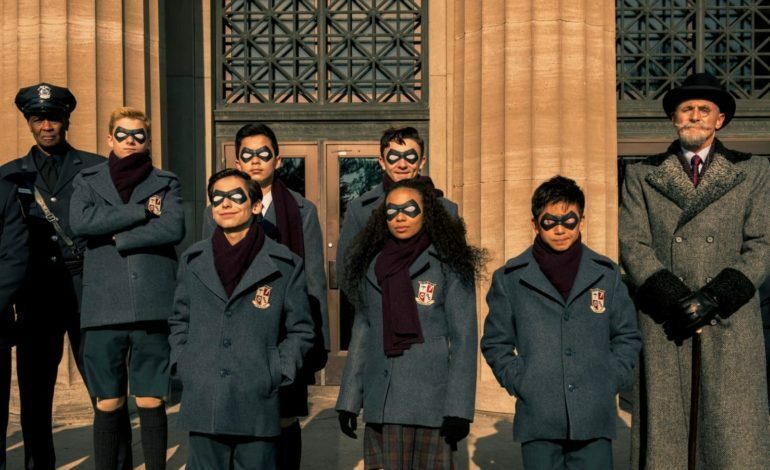 Variety has learned Netflix’s critically acclaimed series, The Umbrella Academy, has officially been renewed for its second season outing. A huge relief to fans who weren’t sure whether or not the Gerard Way and Gabriel Bá series’ saga would continue. Season 1 cast members: David Castañeda, Aidan Gallagher, Tom Hopper, Emmy Raver-Lampman, Justin Min, Ellen Page, and Robert Sheehan will return for Season 2, with showrunner Steve Blackman as well. The series second season has been confirmed to consist of 10 episodes that will begin production this Summer. Based on the comic book series of the same name that was published through Dark Horse Comics, the series’ first season followed the upbringing of seven gifted children who were all born previously to non-pregnant women. Structured as an unexplainable global phenomenon, each sibling soon begins to develop distinct individual special abilities after being taken in by an eccentric billionaire who is determined to turn them into a crime fighting team. As depicted in the first few episodes, years later the six living siblings reunite so that they can attend the funeral of their abusive quasi-father, on the heels of the impending apocalypse. The rest of the plot is fleshed out by the series’ supporting cast members (Cameron Britton, Mary J. Blige), as they attempt to thwart any threat to the world’s official end, as ordered by The Commission. The adaptation originally began development as a film pitched to Universal Pictures in 2011. However, after being left in “development hell,” the film adaptation was shelved in 2015 in favor of a TV series. It was officially greenlit by Netflix in July 2017. Developed by Steve Blackman and Jeremy Slater for Netflix, The Umbrella Academy is produced by Blackman himself, Jeff F. King, Mike Richardson, and Keith Goldberg. Way and Bá also serve as co-executive producers in partnership with Universal Content Productions.